Home / Which DAP Book Is for Me? 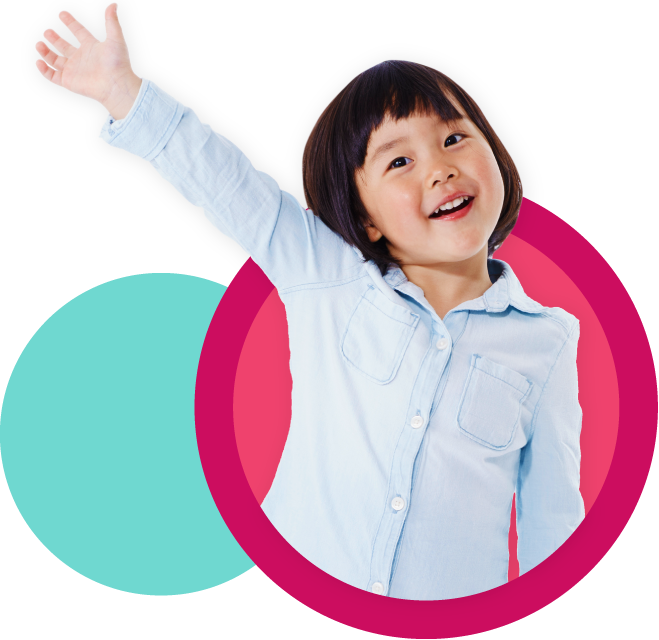 DAP is at the heart of all of NAEYC’s work and resources. 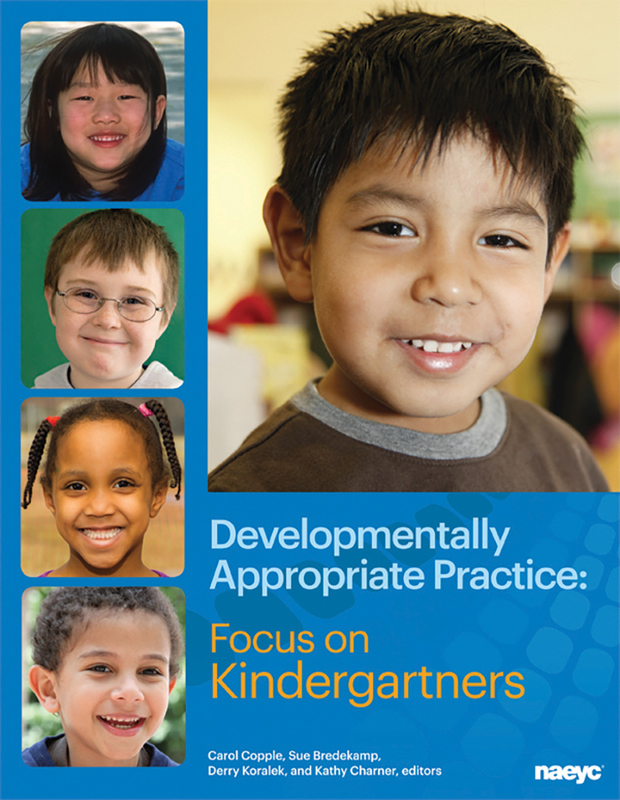 NAEYC's numerous books, booklets, and brochures about developmentally appropriate practice support educators and families in meeting children where they are and helping them attain challenging, achievable goals. 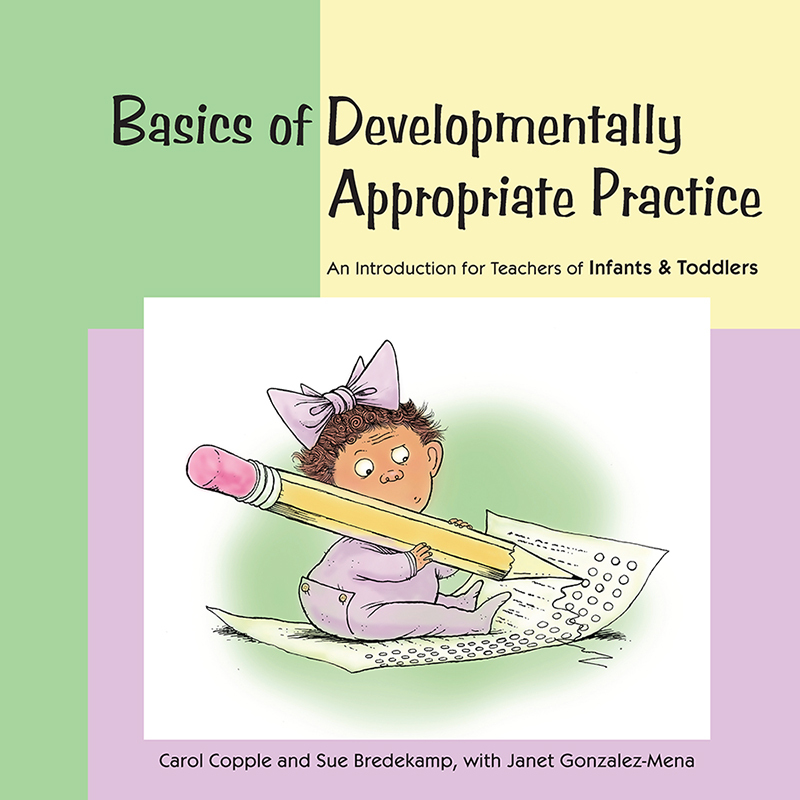 By Carol Copple and Sue Bredekamp, eds. 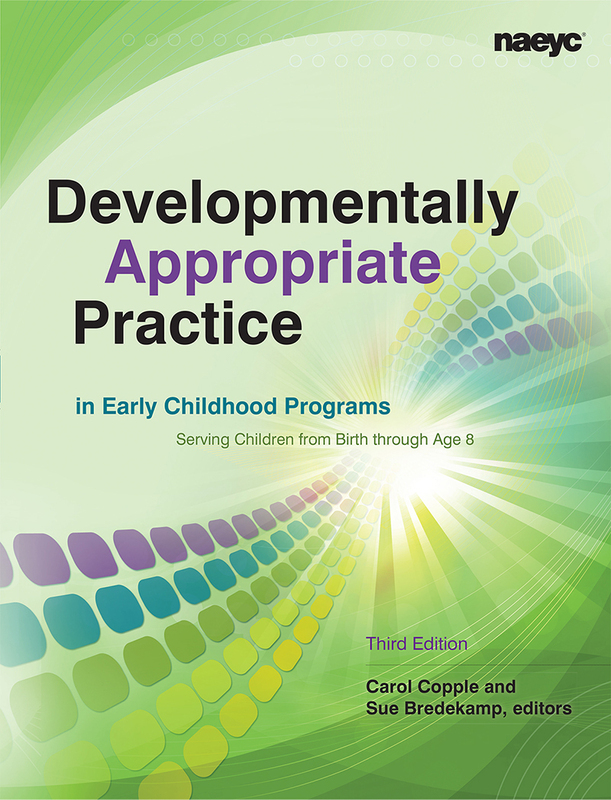 Since the first edition in 1987, NAEYC's book Developmentally Appropriate Practice in Early Childhood Programs has been an essential resource for the early child care field. Based on what the research says about development, learning, and effective practices, as well as what experience tells us about teaching intentionally, DAP articulates the principles that should guide our decision making. 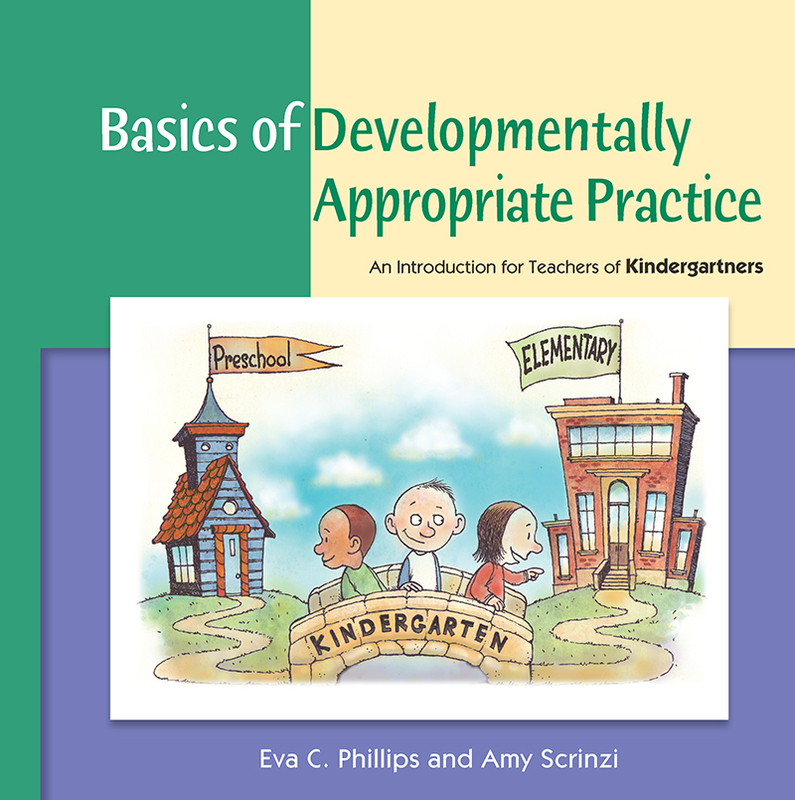 Chapters describe children from birth through age 8 in detail, with extensive examples of appropriate practice for infant/toddler, preschool, kindergarten, and primary levels. An excellent, easy-to-read introduction to the core concepts of DAP. These books introduce the basic principles of DAP in a way that is meaningful to everyday practice. This series is perfect for newcomers to the field or experienced practitioners interested in enhancing their skills. Complete, topic-specific DAP resources for teachers. 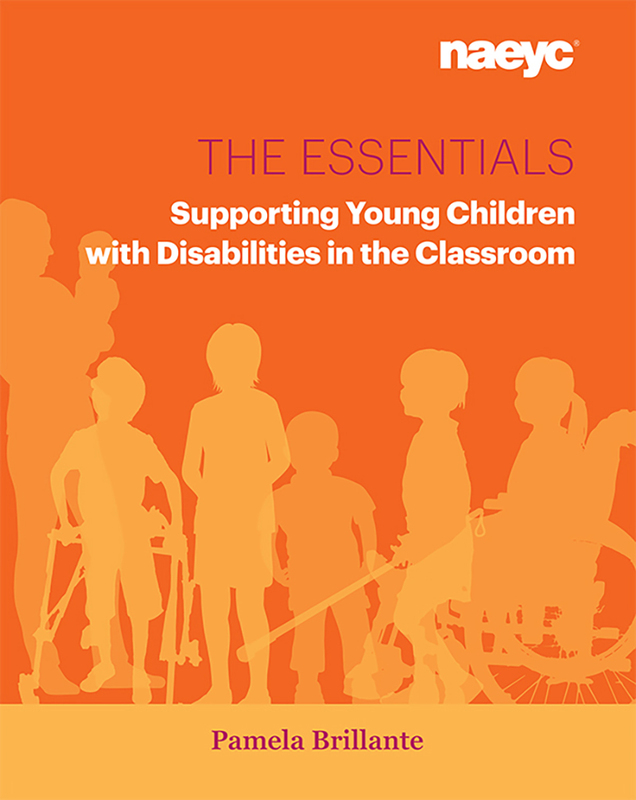 This straightforward introduction to the core concepts of teaching and supporting children with disabilities alongside their peers will help teachers ensure that all children meet their potential. Complete, age-specific DAP resources for teachers filled with information, practical ideas, and inspiration! 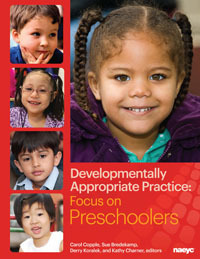 These books are a must-have for early learning educators. 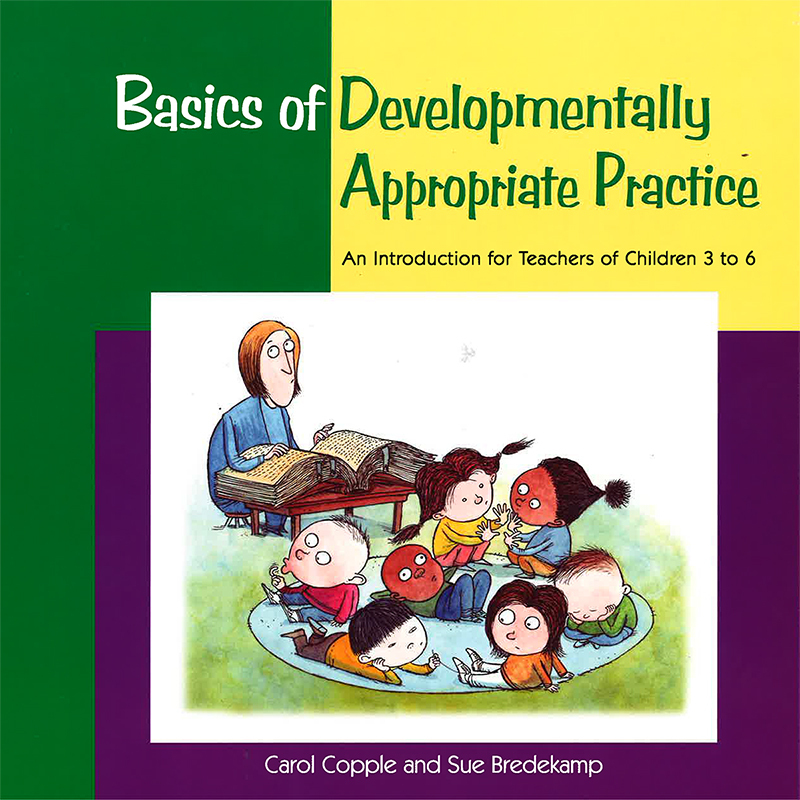 By Carol Copple, Sue Bredekamp, Derry Koralek, and Kathy Charner, eds. 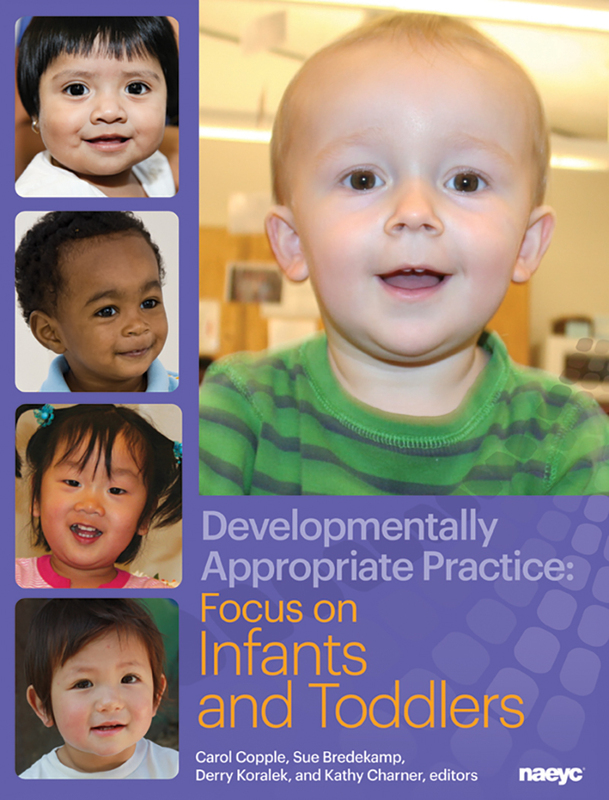 NAEYC's Position Statement on Developmentally Appropriate Practice is an essential resources for the early child care field.